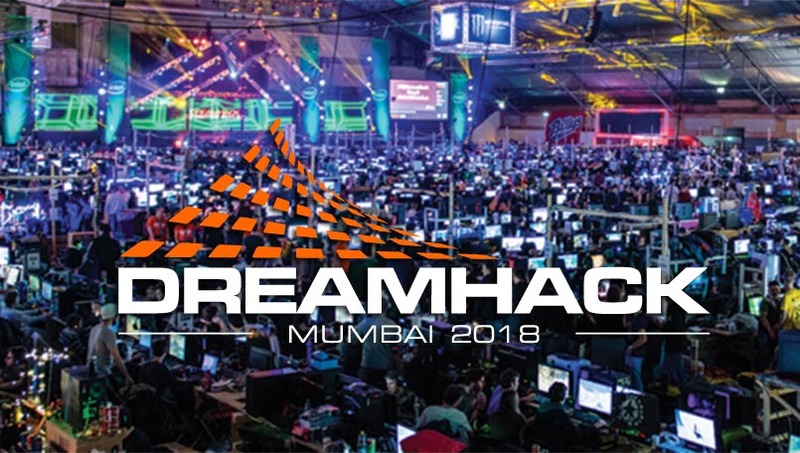 The World’s largest digital gaming festival – DreamHack arrives in India with its first edition slated to take place in Mumbai from 21-23 December 2019 at NESCO, Mumbai. This first Asian edition of DreamHack has Rs 1 Crore in prizes and is organized by NODWIN Gaming, a pioneer in e-sports and a subsidiary of Nazara Technologies Ltd. (Nazara) and Viacom18, India’s fastest growing media and entertainment network, and supported by Monster and Hyper X.
DreamHack editions have been staged in cities worldwide including Atlanta, Valencia, Marseilles, and Stockholm. The digital festival brings gamers and digital natives together for a for a three-day weekend of competitions – featuring the world famous 24-hour-a-day Local Area Network (LAN) party, e-sports gaming tournaments and Bring Your Own Computer (BYOC). Tech enthusiasts will also have a chance to get their hands on the latest innovations in technology and gadgets at the DreamExpo which is one of the biggest gaming exhibitions in the country, where innovative companies such as Hyper X, showcase the latest hardware, gaming gear, games, and other gadgets. To be held across 5 stages – DreamHack Invitational Stage, KO Fight Night Stage, PUBG Stage, Mobile Cricket Championship and Performance Stage the festival includes massive prize pools and merchandise giveaways. The inaugural edition of DreamHack in India will feature leading games such as Dota, CSGO, KO Fight Nights and Mobile Cricket. Participants, anticipated at over 15,000, will also get a chance to meet international teams and gamers, enjoy competitions in the streamer zones and participate in a challenging Cosplay competition. In a quest to ensure the festival showcases something for everyone, the event will also host a ‘ Retro Zone ’ featuring arcade machines with classic games such as Pinball, Tetris, Mario brothers and many more from the yesteryears. Traditional card and board games will also put Foosball, Monopoly and Dungeons & Dragons in the limelight at the festival. The 72-hour gaming marathon will also feature top electronic music acts including Shaan, Sartek and Zenith amongst others. ” At NODWIN Gaming we are incredibly excited to bring DreamHack to India. As the leading gaming event worldwide, DreamHack has broken many firsts, right from the first biggest LAN event to the first biggest BYOC party, and we are delighted to break another first bringing this festival to India ”, says Akshat Rathee, Founder and CEO, NODWIN Gaming . Tickets for the festival are available on Bookmyshow. Tickets begin from Rs. 499 onwards.